Donald Trump claims he told Republican leadership in the House of Representatives to “play along with the game” when it came to a floor vote on the public release of special counsel Robert Mueller’s findings from the investigation into Russian election interference. “On the recent non-binding vote (420-0) in Congress about releasing the Mueller Report, I told leadership to let all Republicans vote for transparency. Makes us all look good and doesn’t matter. Play along with the game!” Trump wrote on Twitter. Earlier this week, in a rare bipartisan show of unity, the House voted in support of a resolution to demand that the Department of Justice release the full findings of Mueller’s report to the public. The resolution is technically nonbinding, so the DOJ does not have to abide by the recommendation, but lawmakers expressed full support for the report’s release in a stunning 420-0 vote. The vote put pressure on Trump’s newly appointed Attorney General William Barr, who is now in charge of overseeing the Mueller investigation. Barr, who was confirmed by the Senate in mid-February, told lawmakers he was “in favor of as much transparency as there as can be, consistent with the rules and the law." Rep. Jerrold Nadler said that the resolution “is critical because of the many questions and criticisms of the investigation raised by the president and his administration.” Nadler is the current chairman of the House Judiciary Committee, which has launched several investigations into the Trump administration since Democrats took over the House in January. Republican Senator Lindsey Graham slammed the House’s passage of the resolution on Thursday and immediately blocked the Senate from taking up the proposal. Graham refused to support the resolution after Democrats refused to add a provision that would require the Justice Department to appoint a special counsel to investigate the agency’s handling of the DOJ's probe into Hillary Clinton's email use. "We let Mueller look at all things Trump, related to collusion and otherwise," Graham argued on the Senate floor. "Somebody needs to look at what happened on the other side and find out if the FBI and the DOJ had two systems." It has been speculated that Mueller will be releasing his findings sooner rather than later as the special counsel appears to be tying up loose ends. Just this week, Mueller closed the door with former Trump associates Paul Manafort and Michael Flynn, both of whom were participating with the special counsel's office. In another sign that Mueller may be close to ending his invesigation, two members of his team have announced that they will soon be leaving. Just minutes after tweeting that he told Republicans to "play along" with the House vote, Trump also shared a Fox News video that alleges there was extreme bias at both the Department of Justice and the FBI that lead to the Mueller investigation. 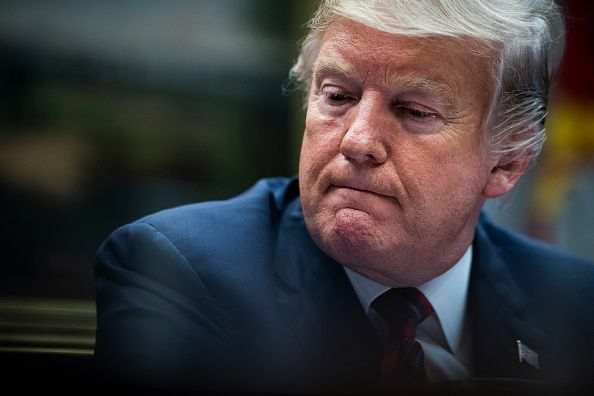 While Trump wrote on Saturday that he advised Republicans to go along with the House’s resolution, he tweeted just the day before that there should be no Mueller report at all.